THUNK! It's the sweet sound an ad-packed magazine makes when it's dropped on a table. At glitzy Carlyle Nash Media, it's the sound of success. And star publisher Mitch Blake has been happily hearing it for a decade. But when the heavily hyped debut issue of World Magazine gets panned in the press and advertisers start to flee, Mitch must control the damage. Can he right the ship and protect his reputation? Or will both be sunk by Paul Cavanaugh, a hard-drinking, paranoid, stress-prone staffer who has stolen an item Mitch needs back to avert disaster: a miniature beach ball. 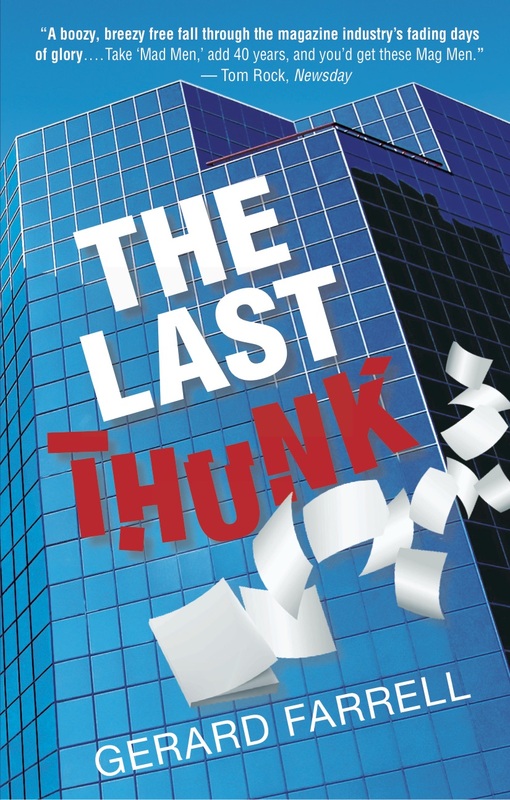 One part pre-recession satire, one part diary of a marketing man coming undone, The Last Thunk is a story of betrayal and friendship, love and survival in the crazy, gritty, glamorous world of magazine advertising ... as told by the beach-ball thief himself. "A boozy, breezy free fall through the magazine industry's fading days of glory....Take 'Mad Men,' add 40 years, and you'd get these Mag Men."